Namgoong Min is working on selecting his next project! “Doctor Prisoner” is about a successful doctor who has to leave the hospital he was working at due to unfortunate circumstances and applies to work at a prison’s medical department while planning revenge on his former hospital. “Doctor Prisoner” is scheduled to premiere in March 2019. Namgoong Min (Handsome Guy Jung-eum) is looking to take a more serious turn for his next project, a KBS drama titled Doctor Prisoner that he has been offered and is reportedly considering, which would have him playing a doctor on a revenge mission. Namgung Min is cast in KBS2 drama series “Doctor Prisoner.” The drama series will have Hwang In-Hyuk (“Sungkyunkwan Scandal“) directing and Park Kye-Ok (“Inspiring Generation“) writing the screenplay. In “Doctor Prisoner,” Namgung Min will play main character Na Yi-Je. He once worked as a surgeon at a hospital, but an incident causes him to lose that job. He then works as the chief of a prison medical clinic. “Doctor Prisoner” first airs March, 2019 in South Korea (takes over KBS2’s Wednesday & Thursday 10PM time slot after “Liver or Die.”). Namgoong Min will be challenging himself in a new genre! “Doctor Prisoner” is a medical suspense drama that tells the story of a genius doctor at a big hospital who has been kicked out and starts a new job as a prison’s new medical director. Namgoong Min will play the role of Nah Yi Jae, a doctor with exceptional skills and a kind heart who prioritizes his patients above everything else. After getting involved in an unfortunate incident, he ends up leaving his job at the hospital and lives his new life working at a prison medical department. We’ve been waiting months for confirmation, and now we finally have it. Actor Namgoong Min (Handsome Guy and Jung-eum, Falsify) has accepted the lead role in his first-ever medical suspense drama, the upcoming KBS drama Doctor Prisoner. The drama is centered around Namgoong Min’s character, Na Yi-gae, who is a genius doctor. He’s one of the best doctors at his hospital and an ace in the emergency ward. He’s not just highly competent, he’s also committed to putting his patients first, and compassionate as well. However, Na Yi-gae somehow becomes involved in a malpractice incident and subsequently ousted from the hospital. Starting his life over again, he begins working at a prison facility as Chief of Medical Care, but fate seems determined to keep his life in turmoil. PD Hwang In-hyuk will be directing Doctor Prisoner; his most recent project was Laurel Tree Tailors. Writing will be done by Park Kye-ok.
Like the casts so far. Hope will like the story too. Not politic focus, please. Dear @Alice Mendoza - I hope you will happily join here in this thread!! 'Doctor Prisoner' mixes prison and medical suspense together, and it is about an ace doctor in a university hospital who is wrongfully accused of a medical malpractice incident and gets ousted from the hospital. He then applies to work at a prison, where he plans to make personal connections with all the big shots in prison with the ultimate goal of getting revenge against the hospital that kicked him out. 'Doctor Prisoner' is scheduled to air in March. Hello Venus’s Nara will be joining Namgoong Min in his new medical drama! 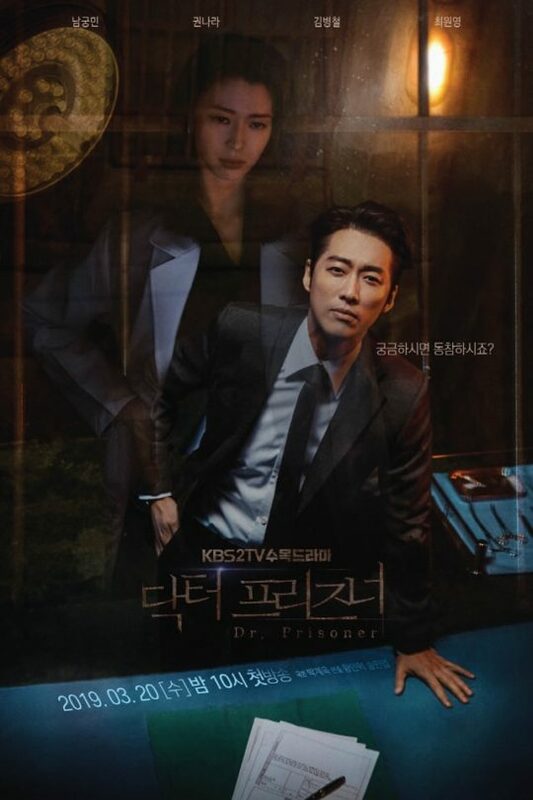 “Doctor Prisoner” is a medical suspense drama about a brilliant surgeon who is fired from his job at a large hospital and ends up becoming the medical director of a prison. Last week, Namgoong Min confirmed that he would be taking on the leading role of Dr. Nah Yi Jae in the very first medical drama of his acting career. Nara, who is also taking on the medical genre for the first time, will be playing Han So Geum, a psychiatrist who works at a hospital but also volunteers at a prison out of the kindness of her heart. The observant and warm-hearted Han So Geum ends up running into Nah Yi Jae through her pro bono work at the prison. Nara from idol group ‘Hellovenus’ is cast in upcoming KBS2 drama series “Doctor Prisoner” co-starring Namgung Min. For the drama series, Nara will play lead female character Han So-Geum. She works as a psychiatrist and she has a warm heart. While she works at a hospital, she also does volunteer work at a prison. Na Yi-Je (Namgung Min) is the chief of the prison medical clinic where she does volunteer work. “Doctor Prisoner” first airs March, 2019 in South Korea (takes over KBS2’s Wednesday & Thursday 10PM time slot after “Liver or Die“). Yesterday, the shooting was over in the morning and I slept for two hours in Incheon. Actor Choi Won Young joined the drama "Dr. Prisoner"
Choi Won - young plays Lee Jae - jun, a powerful successor of the Taekgang Group. When the father receives the Alzheimer's diagnosis, he is promoted to the general manager of the group at the business division of the affiliate. Gentle, yet sharp, he will increase tension in the drama. Actors Jang Hyun-sung and Kang Shin-il will appear on KBS's new drama "Doctor Prisoner". Jang Hyun Sung plays the chief detective officer of the Central Prosecutors' Office, is a star test who gets the attention of the media in front of gangsters and anti-corruption with a harsh investigation that is called 'Seochodong gasoline'. He persistently pursues the future. Gang Shin-il goes to the role of a villain with the organization gang Boss. Aye. Two actors from terrific Sky Castle drama also cast in this drama. Particularly Kim Byun Chul.. Terrific funny pyscho creep in prev drama. All the more to watch. Thanks for update. SBS’s upcoming medical drama “Doctor Prisoner” has revealed photos and details from its first script reading. 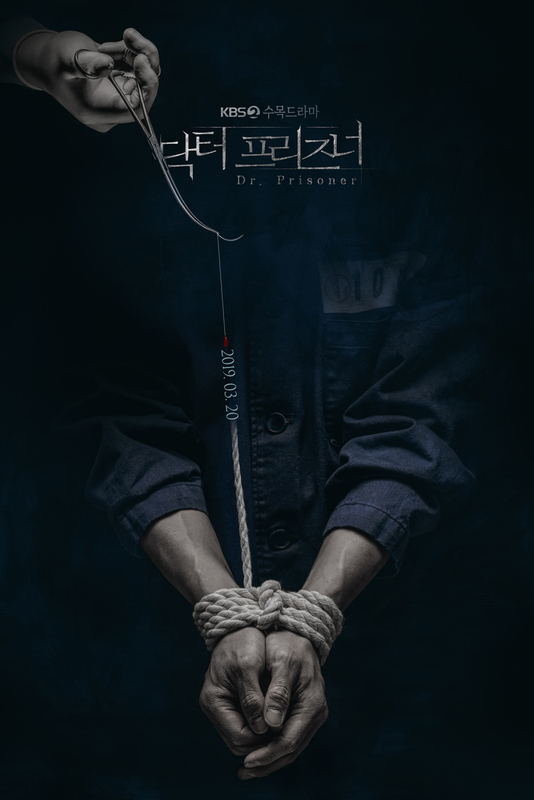 “Doctor Prisoner” is a medical suspense drama about a brilliant surgeon who is driven out of his job at a large hospital and ends up becoming the medical director of a prison. Namgoong Min will take on the leading role of Dr. Nah Yi Jae, who aims to rid society of its evil individuals. The first script reading was held in January at the KBS building in Seoul. Along with the director and writer, actors Namgoong Min, Hello Venus’s Nara, Kim Byung Chul, Choi Won Young, Lee Da In, Park Eun Suk, Lee Min Young, and Lee Joon Hyuk were present. Although it is his first medical drama, Nam Goongmin had the air of a veteran doctor who has already overcome the chaos of emergency rooms several times. He also depicted the image of an angel turning into a devil. Hello Venus’s Nara, who is also taking on the challenge of acting as a doctor for the first time, raised the atmosphere of the set with her deeply emotional performance that portrayed the complex mind of the psychiatrist Han So Geum. Kim Byung Chul, who will face off against Namgoong Min, turned into the “King of Prison” Sun Min Sik, a medical director at a prison. The unavoidable conflict between Nam Goongmin and Kim Byung Chul is expected to raise tensions. Choi Won Young, who plays the role of Lee Jae Joon, the primary successor to major conglomerate Taekang Group, also added to the drama with his acting that differed from other chaebol characters. Park Eun Suk will play Lee Jae Hwan, the stepbrother of Lee Jae Joon, and Lee Da In will take on the role of Lee Jae In, the youngest daughter of the Taekang family.